WWII Letters: Thank A Veteran On Veteran's Day. A Tribute To My Uncle. Thank A Veteran On Veteran's Day. A Tribute To My Uncle. I want what I write today, to serve two purposes. To pay tribute to my uncle, and to encourage whoever might read this, to thank a veteran on veteran's day. Of course you don't have to wait till Veteran's Day, but it is a pretty good day to do it. It provides a perfect lead in, to a short thank you. One line I've used myself that I would suggest, is: "I heard you are a veteran, and since today is Veteran's Day, I would just like to say thank you for your service." Offer to shake their hand also. When Veteran's Day rolls around each year, my thoughts always go to my uncle, and his service. There is a good possibility that you have person you know, who you think of on that day. For many people it is their father. For me it is my uncle. Many times we take people in our family for granted. We know of their military service, from the time we are small, and for that reason, we might neglect to find out just what they went through. Another very important thing that we neglect often, is to simply say thank you. It seems simple enough, but thanking a family member for their military service, seems strangely awkward. I did thank my uncle, but I almost waited too long. It was one of those things that always seemed like it could wait. If you have never thanked family, friends, or coworkers, try it. You will be glad you did. I want to give you a little background on my uncle now. He was a boy during WWII. His oldest brother joined the Army, but was discharged due to a serious mental illness, which later took his life. His next oldest brother, my father, dropped out of high school, as soon as he was old enough to join the Army. He told everyone he knew, that he was going to join up. He went for his physical. His parents had to sign for him. They found out that he had a serious heart problem. They wouldn't allow him to serve. 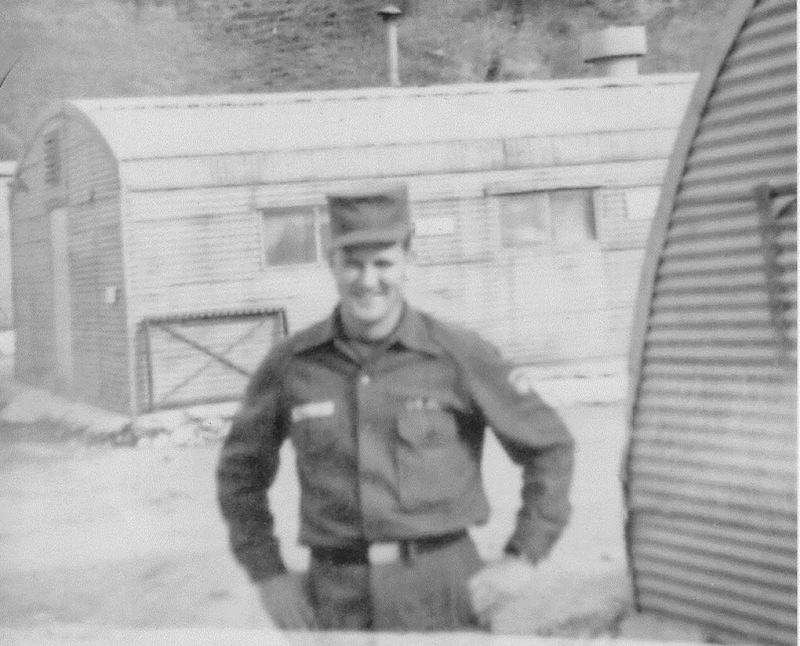 My father cried when he found out he couldn't serve his country. My father died when I was 50, and I never saw him cry, even at the funerals of his parents. My uncle was too young to serve during WWII. He watched as his older brothers wanted to serve, but couldn't. World War Two finally ended. In time, he grew into a strong, athletic young man, like his older brothers were. The Korean War broke out. This was uncle Dickie's chance. He was still too young to join, without his parents' permission. He had to convince his parents. They agreed to sign for him, and he joined the Navy. He became a Navy corpsman. For those who might not be familiar with what a Navy Corpsman is, they are basically field medics for Marine Corps units. The marines many times, are the first to be sent into combat zones. Even though many insisted that it be called the Korean Conflict, over 33,000 Americans died during it. I remember calling it the Korean War once, and my uncle was quick to correct me. I think the term "Korean Conflict" had been stuck in his craw for many years. People fought, and people died.....it was a war. He saw the worst of war. The broken bodies, the blood, the death. 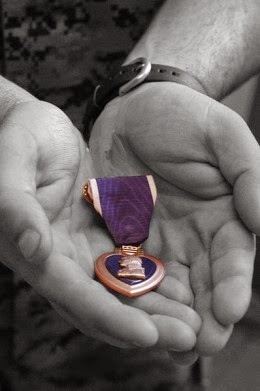 He was wounded there, and received a purple heart for being wounded in action. The day he was wounded, he could have been evacuated with the rest of the Marines, who were wounded. He stayed with his unit though, until he could be replaced, because he didn't want them to be without a Corpsman. The war finally ended, and he went home. He and my aunt went about the task of raising their two girls, who soon had two more sisters. He left the Navy, but after a short while out of the military, he decided to join the Army. Then the Vietnam War came along. His nephew talked about joining the army, because he looked up to his uncle. He gently tried to discourage his nephew from joining. He didn't want to see his nephew go, because he knew about war. He had seen it up close and personal. My Uncle volunteered to go to Vietnam. During the time he spent in Vietnam, he served in a Military field hospital. A surgical hospital. While there, he was awarded two Bronze Stars. He made it back home where he watched his daughters grow up and have lives of their own. Then he got sick. A stroke, and cancer. He had always been my hero, but I had never thanked him. I sent my cousin the following email. I woke up about 2:00 A.M. this morning, and thoughts of the war in Iraq crept in while I lay awake in bed. Whenever I think about war, I usually think about what your Dad must have went through during his service. Then I got to thinking that I have a real American hero in my own family, and I don't think that I have ever taken the time to say thank you for what he has done for me and for all of us in the country, and in our family. So if you don’t think that it would upset him too much and would be ok, I would like to say a few things to him. I just want to thank you for putting your life on the line for me, and the rest of the family during your service to your country. You are a true American hero. We have always been proud of you, even though we never told you. So many times, the true heroes of this country go about their lives with little or no recognition. You shed your blood on foreign soil, so we could enjoy the freedom that we so often under appreciate. I love you, and so do the rest of us here. We think of you often, and pray that God will have his hand on you. We will never forget what you have done for us, and I just wanted you to know that we truly appreciate it. My cousin read the email to him, in his hospital room. He shed some tears, and her and her sister shed some. One day we received a call that told us if we wanted to see him again, we should come, because he didn't have much time. We drove about 700 miles to be there. He drifted in and out of consciousness. My cousin told him we were there to see him. I went to his bedside. I told him that he was my hero, that he was our family hero. Because of his stroke, he couldn't use his right hand. He put his left hand to his forehead. My cousin put it down. He put his hand back up to his forehead. She put it down again. When he did it a third time, she looked at me, and said "he is saluting you". It took everything I had to not lose it right there. This hero was hours from dying, and he was saluting me. I didn't deserve that salute. I didn't deserve to shine his boots. To this day, that left handed salute is the highest honor that I have had as an American citizen. It brings tears to my eyes even today when I think about it. He died the next morning. I was there, and I had the honor of holding his hand as his daughter struggled in vain to aid her father as he took his last breaths. He was a quiet hero, like so many heroes are. Except for the purple heart license plate on his car, you would never have known it. He received a military funeral, and was buried in his Army uniform. We miss you uncle Dickie. If you have never tried it, please give it a try once. If you are a veteran, and are reading this, Thank you very much for your service. I really do appreciate it.